Mehmet Goren, the father of 15-year-old schoolgirl Tulay Goren, has been convicted of her murder and sentenced to serve a minimum of 22 years for the family “honour killing” in London. 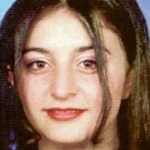 Tulay, who had come to Britain from the Kurdish region of Turkey, was drugged, tortured and then killed by her father Mehmet Goren, over her relationship with an older man of whom Mehment Goren and his relations did not approve. 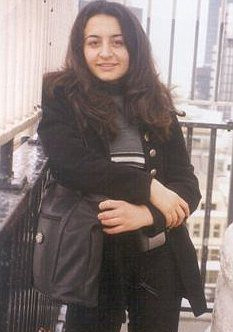 Although Tulay’s body has never been found, her father Mehmet Goren, 49, was found guilty of murder at the Old Bailey after a 10-week trial. The trial heard how Tulay, who came to Britain at the age of 12, was assaulted by her father, a Shia Muslim, who was angered by her relationship with Mr Unal, who was twice her age and a Sunni Muslim. In the weeks before her disappearance, Tulay ran away from home twice and personally reported two attacks on her by her father. Her boyfriend also reported an assault. However, despite Tulay’s refusal to go home, she was lured back three weeks later, in January 1999, and disappeared the next day. Mehment had been arrested when Tulay vanished on January 7 1999 but lied his way out of trouble and forced his family to do the same. He was only brought to justice by the damning testimony of the mother and sister Tulay left behind. She also gave key evidence about the aftermath of the murder, in which she found knives missing from the kitchen, bin bags used up and the back garden of her home in Glastonbury Avenue, Woodford Green, dug over.